Southampton joins the Alan Turing Institute through its research excellence in data science. The University of Southampton is set to join The Alan Turing Institute, the UK’s prestigious national institute for data science. Subject to signing a partnership agreement, it is anticipated that Southampton and the University of Bristol will be working with the Institute and its university partners to develop collaborative programmes of research from summer 2018. 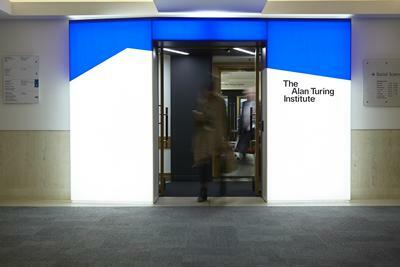 The Institute is named in honour of Alan Turing, whose pioneering work in theoretical and applied mathematics, engineering and computing are considered to be the key disciplines comprising the emerging field of data science. All new universities joining the Turing network have been admitted based on the excellence of their research and its alignment with the Institute’s research interests, their ability to bring new expertise and opportunities which add to the core strengths of the Institute and its existing partners, and their willingness to contribute financially to the Institute. The addition of Southampton and Bristol marks the end of the first phase of expansion for the Turing, and the focus over the coming months will be to assimilate the new universities into the Institute’s community and to generate ambitious collaborative research programmes. Southampton and Bristol join a growing network of university partners in the Alan Turing Institute: since November 2017 six universities (Birmingham, Exeter, Leeds, Manchester, Newcastle and Queen Mary University of London) have been announced as new partners, joining Cambridge, Edinburgh, Oxford, Warwick and UCL who were selected as founder members when the Institute was created in 2015. Researchers from the 13 universities will work together alongside the Institute’s industry, government and third sector partners to spearhead cutting-edge research and apply this research to real-world problems, with the goal to create lasting effects for science, society and the world we live in.